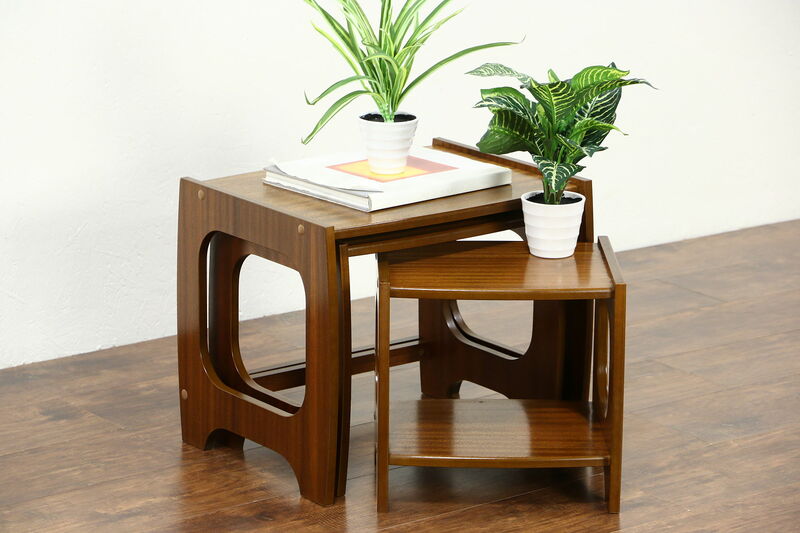 A set of three Midcentury Modern nesting tables from the 1960's are mahogany with an original finish in very fine condition. This unsigned vintage furniture is tight and strong. Measurements of the largest table are 20" wide, 15-1/2" deep, 16-1/2" high. The middle size table is 17" wide, 13-1/2" deep, 15" high, and the smallest is 14" wide, 11-1/2" deep, 13-1/2" high.